We’re pretty darn excited today. Why? 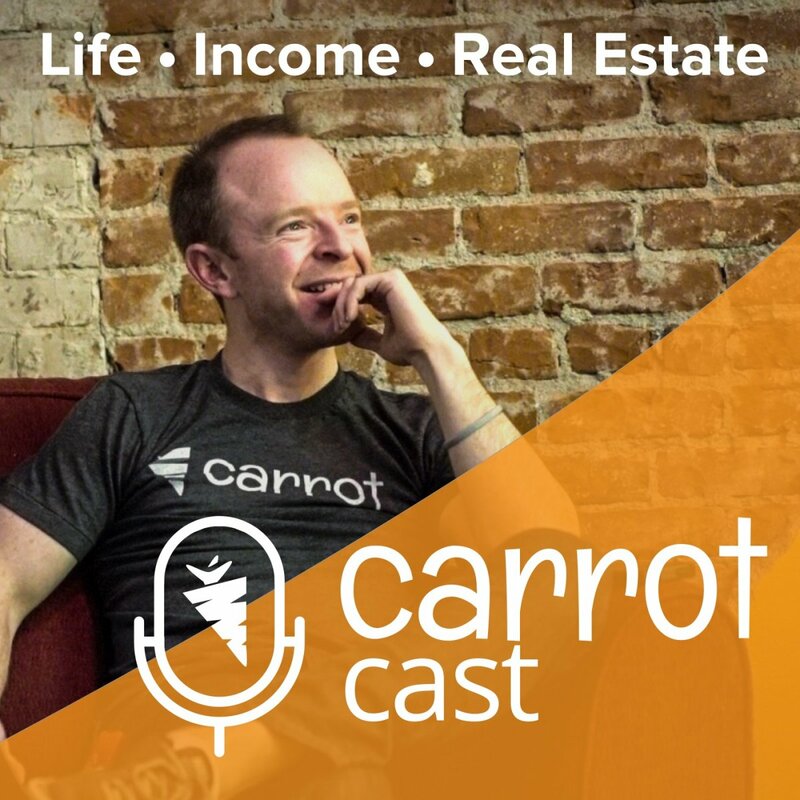 Today we officially launch our own podcast on LIFE, INCOME, and REAL ESTATE called the CarrotCast. I’m not sure about you, but I’m not passionate about real estate. I’m not passionate about software. I’m not passionate about lead generation. They’re all amazing tools to make a big difference, grow wealth, and make your impact… but they’re not the things that get me out of bed in the morning. What fires me up is amplifying leaders. Finding ways to amplify your life, income, happiness, purpose… all of the things that can help you go out and crush it in life. Entrepreneurs are the change agents in this world. And this podcast, the CarrotCast, is meant to be my outlet to do just that. Yes, I’m going to keep on doing great articles and us here at Carrot we’re going to be ramping up our content game and building even more value for you over the rest of this year. But I’m the most excited about getting amazing leaders on to join me in candid conversations about what makes them tick. You’ll get behind the scenes tips and insights on how to grow your income in massive ways, blast through mental roadblocks that hold you back, elevate your performance in life, tap into your inner happiness, and more. So hold tight and we hope you enjoy the first few episodes. 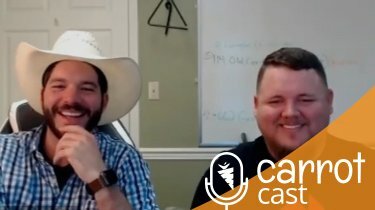 We’re starting off the CarrotCast with some of our own Carrot customers… then later this summer we’re going to be bringing on guests that have nothing to do with real estate but everything to do with helping you live an amazing, passion filled, impactful, and prosperous life. 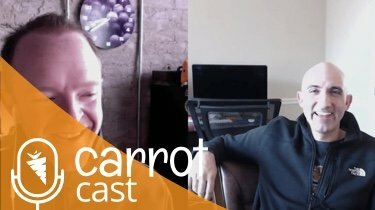 Let’s dive into the first CarrotCast episode with guest Tom Krol. Tom is one of the most engaging, passionate, genuine, and just flat out awesome and inspiring fella. If you’re wanting to learn how to blast through those roadblocks to get to your first deal, this call is for you. If you want to learn how to scale things up to 5+ deals a month and gain freedom, this is also for you. Last, if you want to flat out get energized and inspired today, this episode is for you. PS – If you enjoy this first episode, give us a review on iTunes and Subscribe. It helps us get our message out there even more and impact more people with the Carrot goodness. 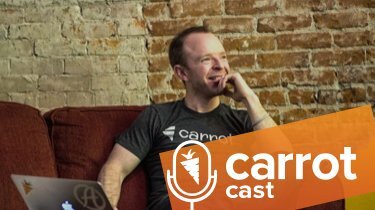 Our first guest, Tom Krol and his story of how he left a job he hated to build his wholesaling and coaching company. What his passions are and the unique way he celebrates success. Not just in his career, but also in life. Going all in when creating a real estate marketing plan. How to get to revenue as fast as possible as a new wholesaler and what type of action plan that requires. The rules he sets forth and what he teaches for assignment fees. 18:15 – Just in case learning vs. just in time learning. 36:23 – 42:56 – Two very easy methods to double, if not quadruple your wholesaler margins. Awesome podcast!! Great info and content.. Awesome! Glad you loved it!!! If you can, hop over and give us a quick review on iTunes. I appreciate you in advance!!! Seems to be a good idea! I’ll try my best to watch… and be MOTIVATED! Thanks. Wow! So great to have access to a podcast where genuine, from the heart, no sales pitch content is given away so freely! Loved his energy too. Thanks. That kinda stuff is what I love to hear! If you can, hop over and give our podcast a quick rating over on itunes. You rock! Great stuff! Thanks, Trevor for providing this inspirational and practical podcast. Keep it up! Awesome Podcast Trevor and Tom. Loved the energy and content. Doug! Thanks man! Really value your opinion sir! See you out here in Oregon next week! Great information, always love Toms energy! Loved the tip about not being a buyers employee and building a strong realtor and brokerage list. Rafael! Thanks for the props! Ya the “cash buyer employee” is a great mindset shift to make. The best guidance for somebody putting resources into real estate is guarantee that its in a decent area. Area is the most critical part of putting resources into real estate. The area of your home influences the general an incentive in long haul and assumes an enormous job in improving the value of your property.